The Blue Cowboy is, as you’ve probably guessed, a blue cocktail. It’s pretty simple, featuring just two ingredients, and it’s a very fun drink. The orange notes in the curacao bring out the citrus notes in the gin, so the overall flavor is orange-citrus with slight hints of herbal. 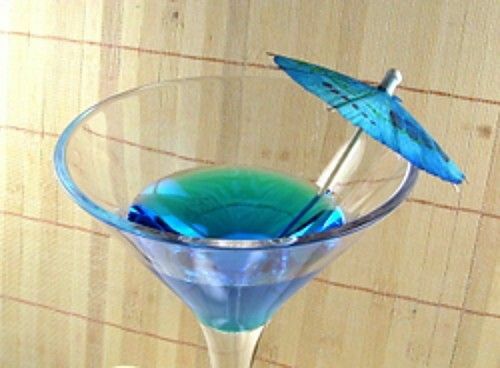 This is a good alternative to a traditional martini, and the color makes it really cool-looking, too. Fill a mixing glass halfway with crushed ice. Pour in both liquors and stir well. Strain the mixture into a chilled cocktail glass.